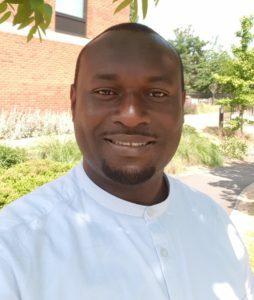 The Commonwealth Scholarship Commission in the UK (CSC) and Taylor & Francis Group are delighted to announce Chigozie Utazi as the winner of the 2018 Taylor & Francis Commonwealth Scholar Best Journal Article Prize, for his article High resolution age-structured mapping of childhood vaccination coverage in low and middle income countries, published in Vaccine in 2018. Sustainable Development Goal 3 supports the research and development of vaccines and medicines for the communicable and non-communicable diseases that primarily affect developing countries. Following the publication of his research, Chigozie and fellow researchers are continuing to scale up their work, applying the techniques presented in the article to mapping the coverage of childhood vaccinations in other low- and middle-income countries in Africa and Asia. The team are also developing an open web visualisation tool that will host country-specific output maps to increase the accessibility of the data gathered. It is hoped that the sharing of this data will support the work of other researchers and inform stakeholders and government policy makers. The 2018 competition received over 50 entries from current doctoral Commonwealth Scholars and Commonwealth Alumni. The winner was chosen by a panel of experts drawn from multidisciplinary backgrounds: Professor Jonathan Wastling (Pro-Vice Chancellor and Dean of Natural Science at Keele University); Professor Mark Cleary (former Vice-Chancellor of the University of Bradford); Dr Jennie Robinson (CSC Commissioner and Divisional Director of Student Education at Leeds University Business School); and Sandy Balfour (current Commissioner and former CEO, Canon Collins Educational and Legal Assistance Trust). The Taylor & Francis Commonwealth Scholar Best Journal Article Prize is awarded to a Commonwealth Scholar who submits the most outstanding article published in a peer-reviewed journal. This annual prize, first awarded in 2012, aims to encourage and reward the publication achievements of Commonwealth Scholars who are completing or have recently completed their doctoral studies.